The Voice has topped the non-sport TV chart in the Nielsen Social Content Ratings this week for its live final on Sunday night. 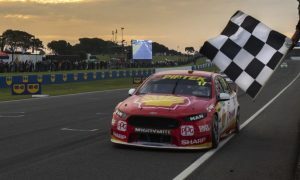 The ABC and ABC2 were home to three of the other shows on the chart this week, while TEN also scored a top five spot with the Monday June 19 episode of MasterChef featuring Heston Blumenthal. 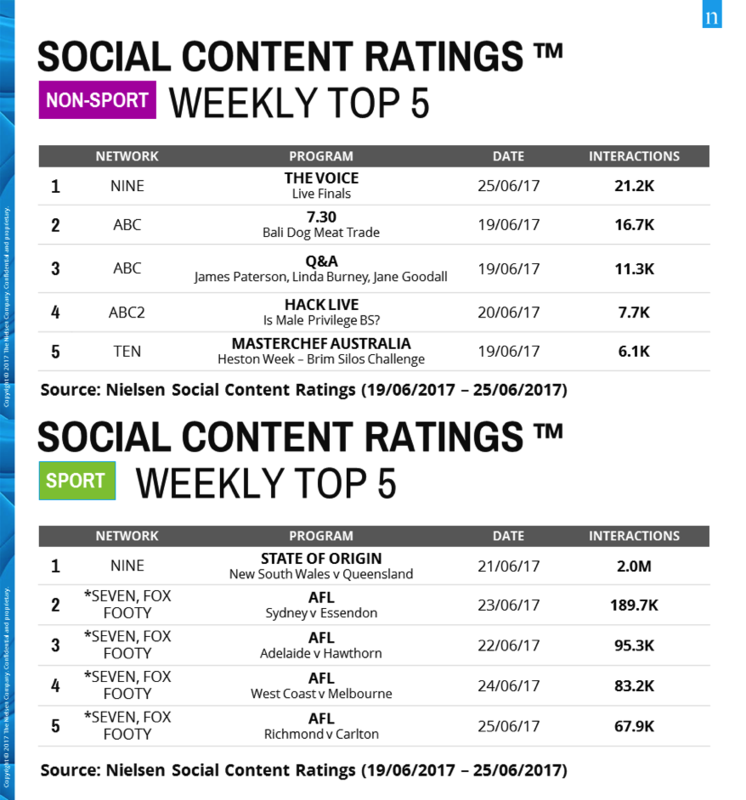 Topping the sport chart was State Of Origin game two with a massive 2m interactions. 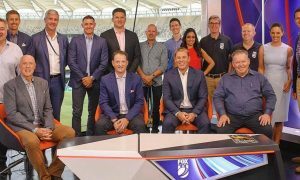 The rest of the top five went to AFL matches on a weekend that boasted many close contests.